Is there anything better than a sweet, squishy newborn? I don't think so. 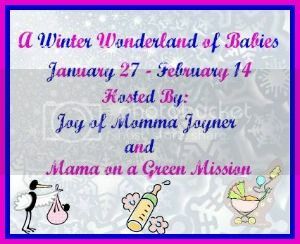 I couldn't pass up the chance to celebrate the upcoming arrival of some new little ones - and bring you a great giveaway in the process! Keep reading for an amazing set of prizes up for grabs! Part of the prize pack is from AppleCheeks cloth diapers - my absolute favorite brand. If nothing else, enter for the chance to win that! Ready to enter? It's simple! Just fill out the Giveaway Tools Form below. There are plenty of entry options, and the more you do, the better your chance of winning! I would love to have a different type of carrier to try!